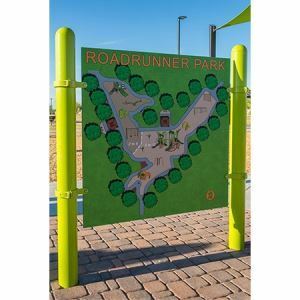 The one-of-a-kind playground at Roadrunner Park in Chandler, Arizona, attracts kids ages 5 to 12 and their families from miles away. 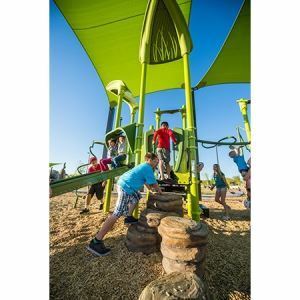 The one-of-a-kind playground at Roadrunner Park in Chandler, Arizona, attracts kids ages 5 to 12 and their families from miles away. 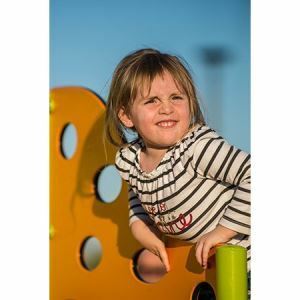 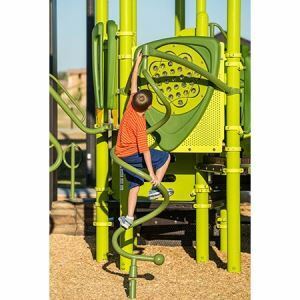 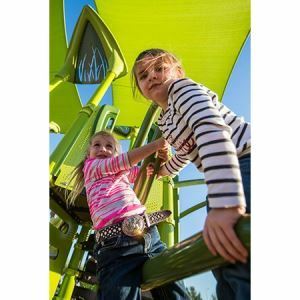 A custom Glass Fiber Reinforced Concrete (GFRC) climbing wall and steppers create distinctive entryways into the contemporary PlayBooster® Vibe® playstructure. 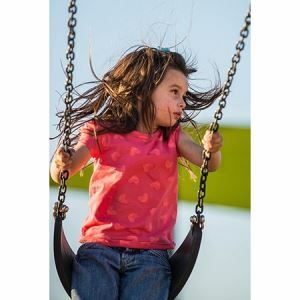 Here, everything swirls, swings, loops and flows from one event to another. 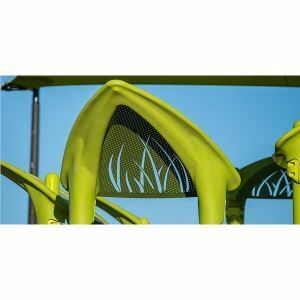 Custom panels on the Vibe roofs feature a nature theme that is echoed by the grassy color scheme of the playstructure. 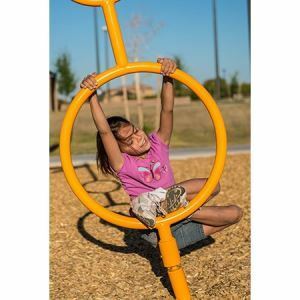 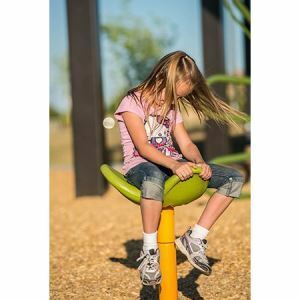 Color is an important decision, and our playgrounds are available in many color options. 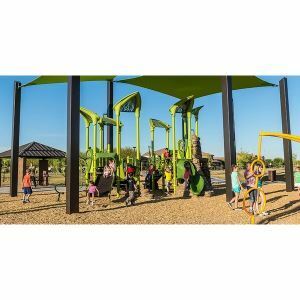 Use our carefully curated palettes like Color Palette AV shown above, or work with our design team to create your own color combination. 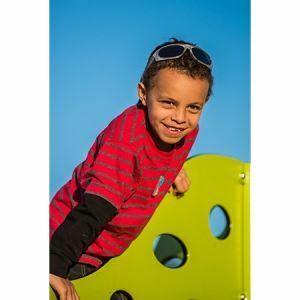 Contact your local playground consultant to learn more.